If there is one brand that I distinctly remember from my childhood, its Clinique. It's use of that infamous pastel green, beauty advisors in lab coats and the 3-Step System advertising is forever embedded in my mind from the countless trips to the department store with my mother and aunties. Clinique is simply iconic and is for me, is one of those 'established' skincare brands which I still go to the counter and look at to see what products they have launched recently. Whilst, Clinique and its beauty counter is very much part of my childhood (my mother was always fond of their gift with purchase), I never really knew much about the brand's rich history, until recently. Not long ago, I sent a few items from Clinique (products that I am both very familiar with and another which was new for me) and like with any brand I have the opportunity to collaborate with, I was inclined to learn a little more about its backstory. Clinique's rich history was especially fascinating as for me, the brand was a true beauty disrupter and a game changer at the time of its launch. It truly paved the way for many of the things we take for granted today, and it all started with a Vogue expose on the skincare industry. **Please note that I recently collaborated with Clinique who sent me products in exchange for a blog post. I have used a few Clinique products in the past and was excited about this collaboration! Any items in this post marked with a * were kindly gifted to me by the brand. All opinions are my own and honest opinions. The unique and fascinating story of Clinique Skincare, starts in New York City, where Carol Phillips, a Vogue beauty editor wrote an article in the August 15th, 1967 issue of Vogue Magazine, titled "Can Great Skin Be Created?". For this article, Carol wanted to debunk the traditional one-size-fits-all creams that dominated department stores at the time. She had researched the work of Dr Norman Orentreich, a New York dermatologist who was pioneering a three-step skin care method for his patients. This method, so fundamental today for Clinique (and many other brands) was considered to be quite unbelievable back then. In this article, Carol had sought Dr Orentreich to answer a comprehensive list of skin care questions, from simple ones like “What is a real cleansing job?” to more abstract questions like “Is there any relationship between sexual activity and skin?”. This investigative feature in Vogue made quite the stir in the beauty industry, including that of the Fifth Avenue offices of Estée Lauder. It was at this point in time that Leonard Lauder was head of Estée Lauder and he wanted to expand upon his mother's eponymous line and had the vision to create a multi-brand company. His vision was to create a new venture that was modern, inventive, and something that would attract a younger consumer who was asking more questions and demanding more results. It was from this article that Leonard Lauder knew that Carol Phillips was the right woman to head up this new venture with him. He introduced his mother, the iconic Estée to Carol and there was an immediate connection between the two women. Estée also found the idea of creating a new beauty line that was bold, fresh, different and that empowered women, a fantastic one. The name Clinique was conceived by Evelyn Lauder, Leonard's wife (who was a beauty pioneer in her own right). After a visit to Paris, Evelyn noticed signs for "Clinique Esthétiques" a place where Parisian women went to get facials and treatments. She loved the word as it suggested a fresh clinical approach to skincare with a hint of French glamour. The brand's packaging was considered to be equally as chic, using a pale green colour for its fresh and soothing appeal. However, the most vital and unique aspect of the creation of Clinique was perhaps the contribution from Dr Orentreich, the original dermatologist which Carol had interviewed for her Vogue piece. She had persuaded him to join her on this new venture as Dr Orentreich had such a vision in terms of formulations and overall mindset. The result of this collaboration of beauty meets science, was Clinique to be the world’s first dermatologist-developed prestige beauty brand. On top of this, Clinique was also the first skincare brand to be both allergy tested and fragrance-free, to set it apart from the Estée Lauder brand. 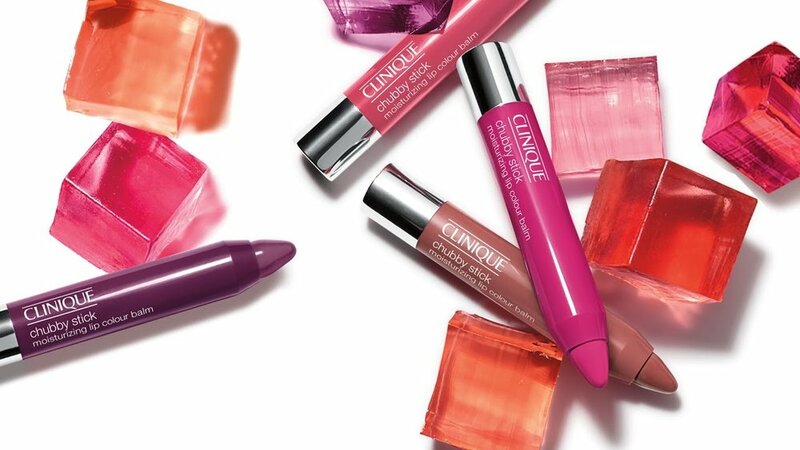 Almost a year after initial meetings and negotiations, September 1968 marked the time when Clinique was introduced to the world at New York’s Saks Fifth Avenue. The brand debuted with 117 skincare and cosmetic products. The star attraction was the now infamous 3-Step System, containing a cleanser, exfoliator and moisturiser. The Clinique Beauty Counter also included a new standard, with consultants donning a white Clinique lab coat who offered women a highly informative and tailored consultation. This service was considered to be the first of its kind in department stores. This infamous lab coat is said to be the most recognised uniform in the United States after the UPS uniform. At the time, Clinique was revolutionary in the beauty industry, it's 3-Step System, the focus on allergy tested and fragrance-free, being dermatologist developed and having a somewhat "rebellious" advertising campaign, made it a true beauty disrupter and industry gamechanger. Its core advertising campaign was shot by legendary photographer, Irving Penn and are considered to be iconic. In one ad, a white toothbrush sits perched in a glass, positioned opposite a trio of Clinique product. Each of these products is part of the 3 Step System, representing cleanse, exfoliate and moisturise and features the straightforward tagline - “Twice a Day.” The message it sent to the consumer was graphic, bold and uncomplicated - commit to the 3-Step System just as you would commit to brushing your teeth twice a day to get fantastic skincare results. The very same advertisement was so timeless and simple, it was used for more than twenty years and it's core concept is still used today. In a 2005 Elle Canada article, Tim Convery, senior vice president of Creative said: "We take a Zen approach to the advertising-elevating everyday products, like toothbrushes and soap, to art". Now, after 50 years of the brand's initial launch, it's amazing to see that the brand has stayed true to its initial heritage and message. Carol Phillip's influence is still very much part of the company, even though she passed away in 2006. Case in point: the 3-Step System remains essential to the Clinique experience and the names of these products were of Carol's creation. To this day, the original names such as Dramatically Different Moisturizing Lotion, and 7 Day Scrub are still in use. Packaging, colour tones and the iconic lab coat uniform are still very true to the original Clinique launch. So very much iconic, that Head of Packaging has since said "The most challenging project is redesigning the 3-Step Skin Care System. We can't change it because it's iconic. I'm creating a few enhancements, like pump dispensers, and now we use plastic instead of glass in case the containers are dropped". However, in a world where marketing and the beauty industry, in general, is very much different to that of 1968 - how has Clinique adapted to the times but still remain true to its message of simplicity and zen? In a Racked article, Jane Lauder, Clinique Global Brand President said “We’ve always been about the product first, and it’s always about custom fit. There’s not one ideal of beauty". For her, whilst the brand doesn't actively shy away from working with beauty influencers or celebrities, it doesn't engage with them the same way newer brands like Becca, Kat Von D or Benefit Cosmetics does either. For Jane, it is important that Clinique is a brand for all and thus the brand has a wider net to cast with its marketing. Choosing the right collaborations is essential to this. She says, “I think that we’ve done some collaborations with like-minded brands where we’ve both collaborated around a brand or people that have a deeper message to tell.” Collaborations and new products must toe the line between standing out and staying true to Clinique’s ethos. “You want to add a bit of fun and light-heartedness because there are so many brands out there about crazy makeup,” Jane Lauder explains. For its younger consumers and for environments like Sephora, the Pep Start range was launched a few years back. With a focus on brightly packaged and portable products providing the same benefits of a Clinique product, the Pep Start line is for the on-the-go millennial woman. The CliniqueFIT line was also released a few months ago, with the focus of workout proof makeup which transcends well with the recent focus on health and athleisure. The beauty industry has changed a lot in the past decade, with more indie brands available in the market and consumers being more clued in than ever. Clinique isn't necessarily considered to be one of those 'it' brands or 'cool' brands, it, however, is one of those tried and true brands with a rich heritage and history. The brand's simple, effective and results-driven approach to skin has given it a cult following for women and men everywhere. For Jane Lauder, she believes that quality never goes out of style and that is the main focus of the Clinique brand - quality. She explains, "It’s hard in this new day and age where fast fashion can sometimes overcome quality. We need to make sure we’re really speaking to her, or him, in ways that we can communicate the quality and the efficacy". There is no doubt that many of us, at some stage in our lifetime, have used products from the Clinique range as their products are so iconic. Products that I have enjoyed using and always have recommended in the past is the Clinique Take the Day Off Balm* (this removes makeup incredibly well and is very easy to find, read a little about it here) and the Chubby Stick Moisturizing Lip Colour Balm (I am currently loving Fuller Fig). However, I recently had the opportunity to try one of their newer released (gifted by the brand) - the Moisture Surge 72-Hour Auto-replenishing Hydrator and have found myself reaching for this quite often. Whilst it is still a relatively new addition to my skincare routine, I really do enjoy the lightweight gel-like texture that sinks into the skin, giving it that boost of hydration. I find that when I do use this, my skin does feel and look more hydrated and plump and the moisturiser also gives a really natural dewy finish. The texture of this moisturiser makes it really easy to use both in the evening and in the daytime. It also does sit very nicely underneath my makeup. What I do enjoy with this moisturiser is the fact that I can use this throughout the year as it is hydrating enough to use in winter but texture wise, its lightweight feel would make it great for combination skin types in the summer. Whilst Clinique is more of your traditional skincare brand, it is one that does have some fantastic products in its line up. There is a reason why I have purchased their products in the past and will continue to do so in the future (the Moisture Surge Hydrating Supercharged Concentrate has me fascinated since Caroline Hirons spoke about it). Clinique has stayed true to its founder's beliefs and heritage in creating simple, yet effective products for everyone. Do you have any fond memories using Clinique? I would love to hear them in the comments section below.